These add-on art accents are simple, yet HIGHLY motivating to children! Even my most timid writers quickly find a reason to write if they know they can stick a sticker, add googly eyes or paint to create a fun border design. Motivate the children to write. Make the writing piece look especially nice. The way I run my camps is, the children write at the tables in the front of the room. Then, I set up an art accent table at the back of the room. 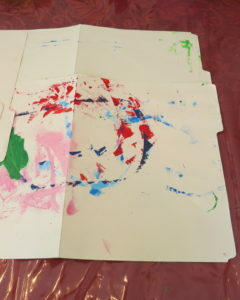 As campers finish their writing, they move to the back table to complete their 5 minute art accent. Then, they either set the piece aside to dry or place it in a plastic page protector*. 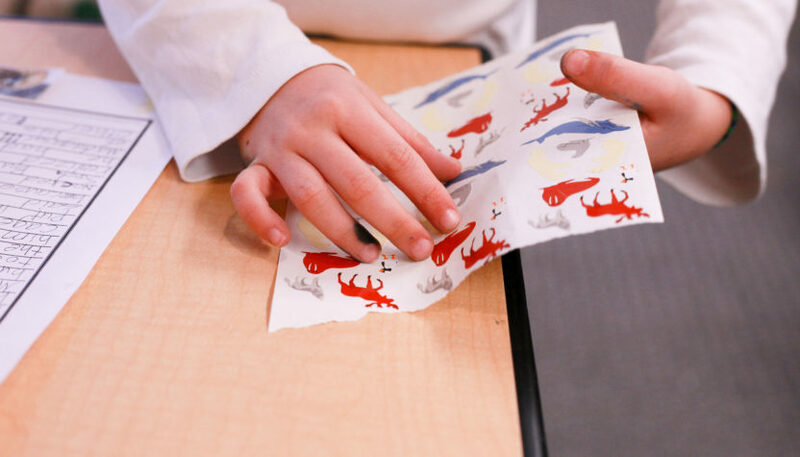 The cost of so many plastic page protectors may not be realistic for a school class. But for the stories that add sand, seeds, glitter and the like, you will probably want them. I get them from Walmart*. 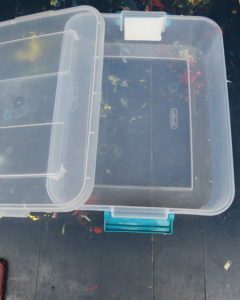 Third, a flat, rectangular, plastic container* to shake sand and glitter into. 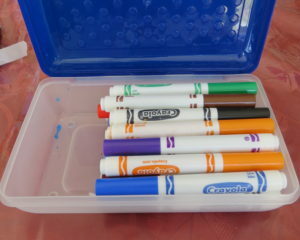 This container is great, because I usually use it to store and transport the materials needed for the day. I purchased mine at Walmart*. Any container that is larger than an 8.5″x 11″ piece of paper will do. 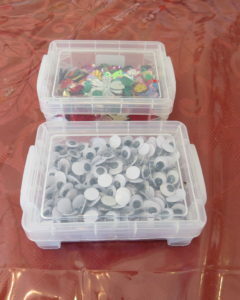 Sequins*, googly eyes*…whatever accent is needed for the lesson. 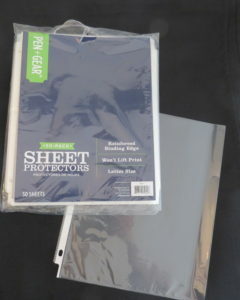 Finally, plastic page protectors*, available for the campers’ finished product. 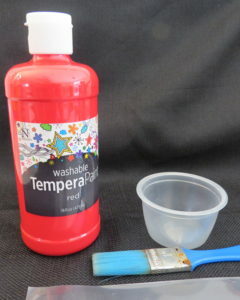 Here’s a list of art accent materials to get you started. This list may cause you to generate ideas of your own. 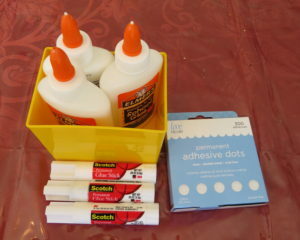 And I will be adding more materials as I use them in my own teaching. If you’d like to receive ideas regularly, you can sign up to receive my free monthly newsletter below.